Times are changing. From climate change to vaccination, we have entered an age where politicians and others do not anymore follow the best available scientific evidence. To ensure that science remains relevant, scientists do not only generate and disseminate scientific evidence but increasingly learn to present and debate that evidence with different groups of people. But debating skills do not only matter in debates. They are important to convince employers that we are the right person for a job, to convince individuals to engage in an exercise programme to improve their health, to win in a resource debate, or to sell a product or a service. For all these reasons, Professors Wackerhage and Königstorfer have developed a module that aims to train the students of the MSc in Sport and Exercise Science in debating. The module is termed “Current Social and Political Topics of Sports in Global Societies”. There are pressing issues in sport science that cannot be merely solved by expertise. Take doping as an example. It is obvious that doping practices should be controlled in all countries at the same level to allow for fair competition. Still, some countries have more lenient, others more strict controls. An additional issue is that agents such as recombinant human EPO (rhEPO) are extremely difficult to detect reliably and as a consequence many samples with rhEPO will be negative, allowing athletes such as Lance Armstrong not to be detected for many years. Thus should we continue with anti-doping controls and if so how do we make them effective and fair worldwide? Or does the ineffectiveness of anti-doping controls mean that we should allow doping? Or should we ban it but not test for it? These are important questions that are regularly discussed and it is important that scientists are heard in these debates. To do so and to convince others, scientists need to overcome cultural differences and convince others in a language that is suitable for the group. During the initial lectures students first learn about communication, presentation, consensus finding, and rhetorical debating skills before they attended several lectures that introduce important matters in sports, such as the aging society and physical (in)activity, relative age effects in competitive sports, and the relation between human and outdoor sports in nature. 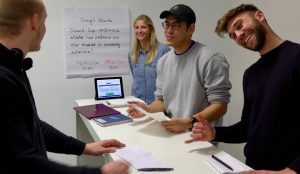 After every lecture, students then form teams to prepare a certain style of debate such as British parliamentary style, a Bundestag debate or court arguments. Students have to either discuss in favour (proposition) or against (opposition) a motion such as “should doping be legalized” or there can be a free debate where participants voice their opinion. In group debates, students not only prepare their arguments but also anticipate arguments of the opposing party and develop a strategy for various scenarios. This may include a focus on factual statements, emotional statements as well as “attack dog” strategies that may be necessary to be heard in a loud populist debate. At the end we discuss the debate and often a jury will determine a winner. Students appreciate the fact that they have to prepare for the debate and search the academic literature for a specific purpose. The debate itself develops students’ social skills. Also, a self-reflection on how arguments were brought up helps them consider how they can improve to be more convincing in the future. In connection with the Munich Debate Club, the dissemination of the students’ work is planned. The dissemination is important because people have a say and because scientists are interested in people considering the latest scientific evidence about a topic. Recent referenda on the hosting of the Olympic Games, for example, revealed negative attitudes of potential host city residents towards hosting Olympic Games. 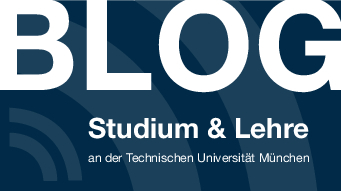 TUM students should be able to discuss important matters, and help stakeholders develop acceptable solutions. The teaching project „How to win a debate? Increasing student engagement via debates: An application to sport and health science topics“ was awarded the TUM Teaching Endowment Fund in 2018.